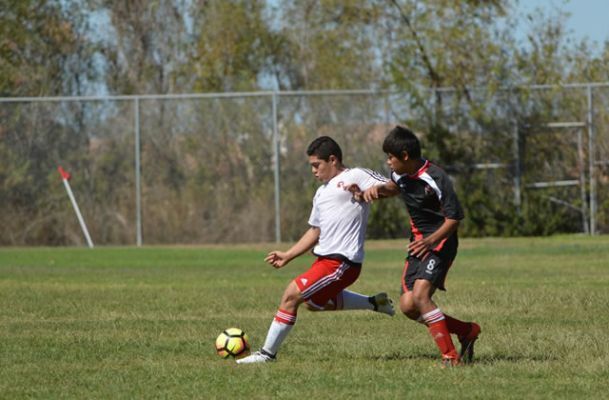 SAN YSIDRO, Calif.- It was a battle of Xoloitzcuintles Saturday at San Ysidro High. Xolos from the North vs. Xolos from the South in Presidio League play. 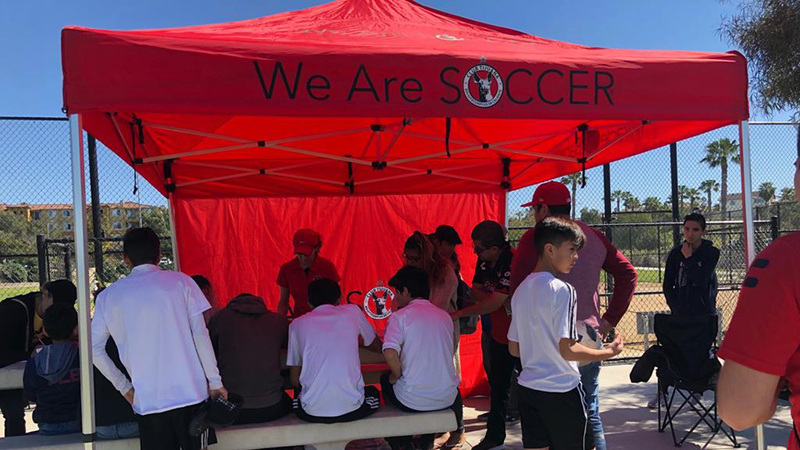 And it was the Club Tijuana youth academy team from the boys 2000 team from Escondido that beat Xolos Academy FC’s boys 2000 from Chula Vista 7-0 in Week 6 play. It was a game that many looked forward at the start of the season, it became one that the team from the South will try and forget. It was a very balanced game for the first 20 minutes as both teams looked to impose their style of play early on, setting up for the counter and creating high pressure to dispossess the other team. For those 20 minutes, both teams were unable to break through. 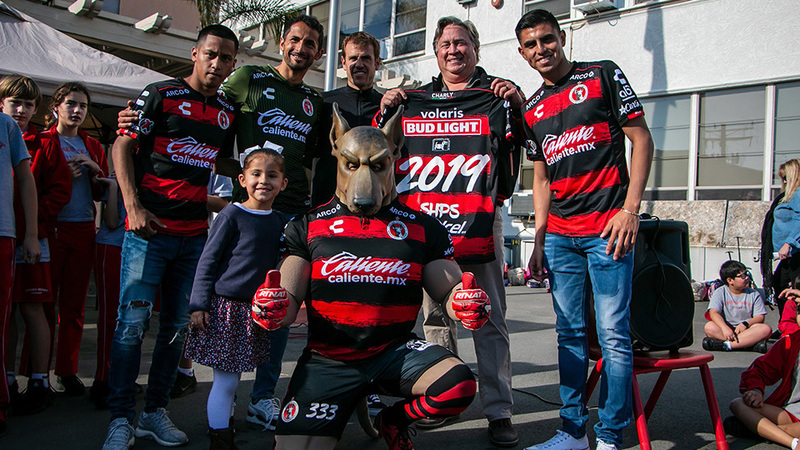 It wasn’t until the Xoloitzcuintles let up on the pressure that Escondido was able to create goal-scoring opportunities. The first goal was a well-hit ball that the goalkeeper could not reach. A straight bullet from outside the box to the top corner that gave Escondido the lead. That score led to the flurry of goals. Escondido almost immediately broke through from the restart on the Xoloitzcuintles defense and slotted another goal inside the near post for a 2-0 lead. The Xoloitzcuintles best opportunity to score came from a free kick. A well placed ball that found where the forward hit a side foot volley but placed it on the wrong side of the post. That should have been 2-1, and put the Xolos back in the game. 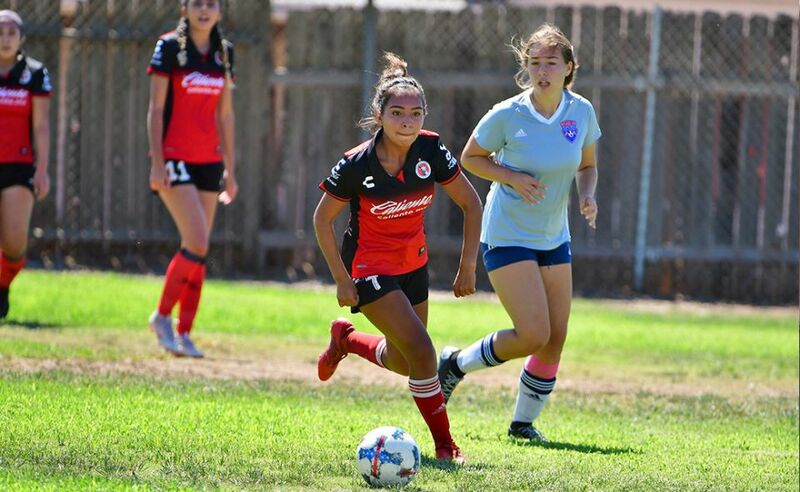 A third goal was added shortly before halftime as the Xoloitzcuintles failed to pressure Escondido as they had an open shot at goal and made no mistake to make it 3-0 Escondido at halftime. The Xoloitzcuintles came out in the second half in a visibly more aggressive play style, as they pressure much more and push higher in an attempt to create goal-scoring opportunities. It came close several times early in the second half, with many in front of Escondido’s’ goal, but was unable to pounce. Despite the early aggression, the Xolos were unable to create actual clear opportunities to score. Escondido went on to score 4 more goals in the second half to close out a dominant performance against the Xoloitzcuintles. The Xolos will look to bounce back as they face Inland Premier TFC on Saturday, Oct. 22 at San Ysidro High School in a Week 7 matchup.